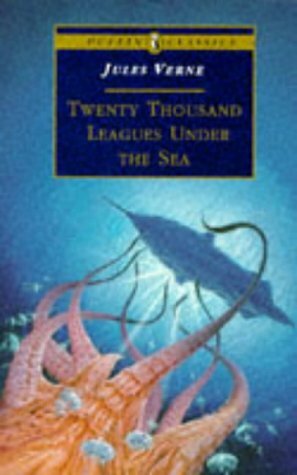 Taken prisoner aboard the rogue submarine Nautilus in 1873, a French professor of marine biology travels an underwater world with his captors, while discovering the philosophy and technical knowledge of the vessel's strange Captain Nemo--Latin for "no one." Battling giant sea creatures, collecting sunken gold, sinking enemy ships, and eating unknown aquatic delights provide nonstop adventure for all ages. Lucian of Samosata was a Greek satirist of Assyrian extraction, and True History is perhaps his most well-known tale. In this tale, the protagonist visits the Moon, meets extraterrestrial creatures, and takes part in interplanetary warfare. Set in an apocalyptic future ending in the year 2100, this novel concerns a plague that destroys almost all of humankind. Published in 1826 after the death of her husband and three children, The Last Man is Shelley's look at an apocalyptic future. Science fiction novel which describes an England of the distant future in which most of the people have died and a swamp covers the site of old London. The hero of the story sets out on a quest to win the hand of the daughter of a neighboring baron. by Edwin A. Abbot - Seeley and Co. The book gives some accessible and charming explanations of geometry and physics for the curious non-mathematician. Flatland imagines a two-dimensional world inhabited by sentient geometric shapes who think their planar world is all there is.